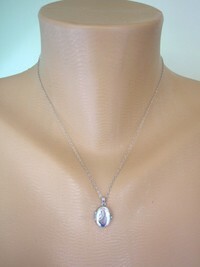 Vintage Silver Locket, Small Oval Silver Locket on Fine Chain. 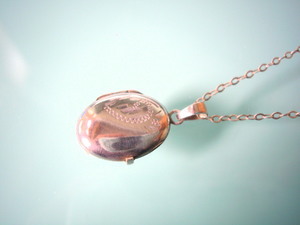 Beautiful little vintage oval shaped silver engraved locket. 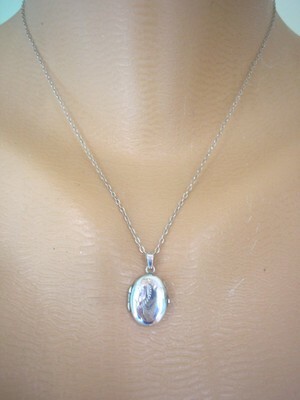 This little locket, which is stamped "silver" on the back, measures approximately 15mm x 10mm in size. 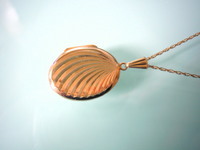 It has a secure snap shut clasp and space inside for two small photos. 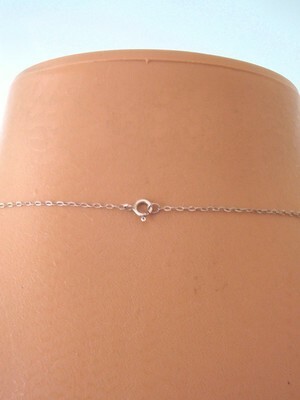 It is strung on a very fine silver chain which measures approximately 16 inches in length and is secured by a spring ring clasp. This piece is in superb vintage condition and would make the ideal gift for that special person in your life.